When I was pregnant with my third child it was the extremely hot summer of 2012. 100+ degree days started in early may, and we had 60 straight days over 100. 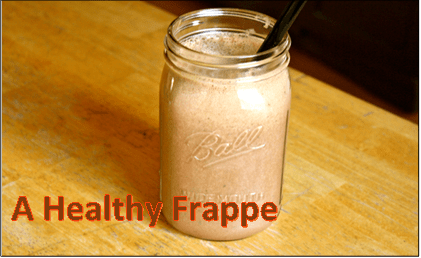 That summer I got addicted to Frappe’s they were cold, I was hot. In our town (we are pretty small) the Starbucks is inside our target. My daughter and I went to target by 10 am most mornings, to escape our hot Victorian era house (without air conditioning), for a large Frappe and more shopping than we did not need to do. At that time I was pregnant with my 3rd child and in that pregnancy I gained more weight than I needed or wanted to. I will go ahead and say it was probably the many many Frappe’s. I wish I knew this recipe back then, granted it wouldn’t have got me out of our Victorian era oven, I call home. However, it would have saved me from thousands of useless calories. Not to mention would have been putting good ingredients in not just keeping the bad ones out. May have helped keep my thyroid from crashing shortly after the birth of that 3rd child. So lesson learned. Blend it all together. Try adding cinnamon or cocoa or even fruit to fit your tastes. That’s it! Healthy, delicious, caffeine free. blend, being a herbal mix made from dandelions, is a whopper of a benefit. Dandelions are pretty much a super-food. Dandelions are a blood purifying, liver detoxifying weed that grows in everyone’s yard. Some of the benefits that dandelion can offer that I personally love. 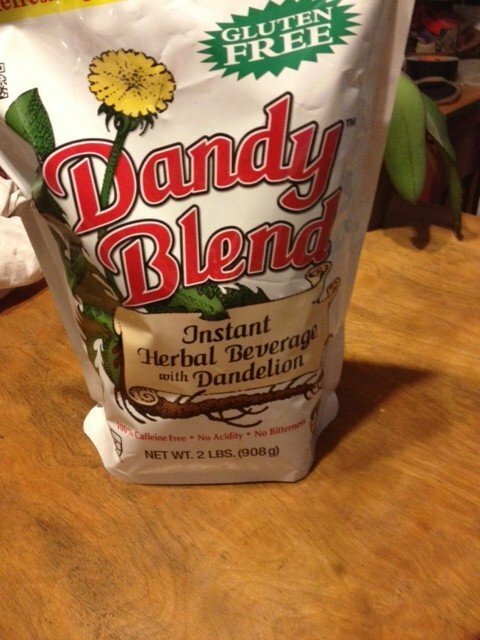 Dandy blend makes a great replacement for hot coffee too!